Get affordable Security Camera Installation on Eagle Rock, CA and CCTV equipment with commercial quality and 2 years warranty. We have been working on Eagle Rock, CA since 2005. When you looking for a security camera you will find that it can be difficult to select the right CCTV company .You will find that there are several CCTV companies to choose for. 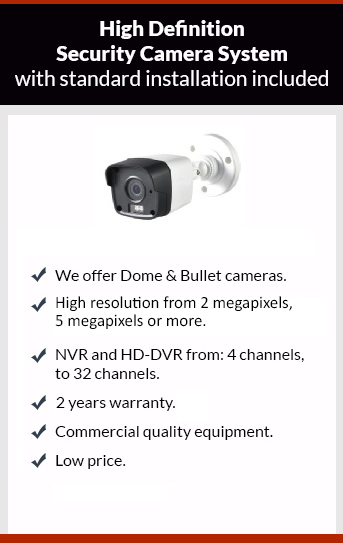 This depends on your budget and your CCTV needs. Some people only need 1 camera for others 16 cameras is not enough. You will ask yourself a question: what is the best system that I can get with my budget? And how many cameras can I afford. I you go for the cheapest solution in the long run can be the most expensive.